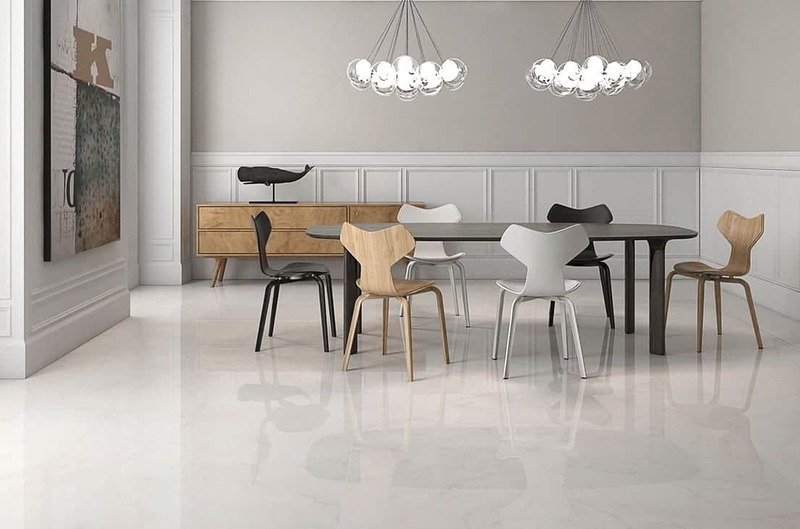 Seeing a large porcelain gloss tile laid on a floor creates an immediate reaction of luxury and quality, Sarca is no exception. 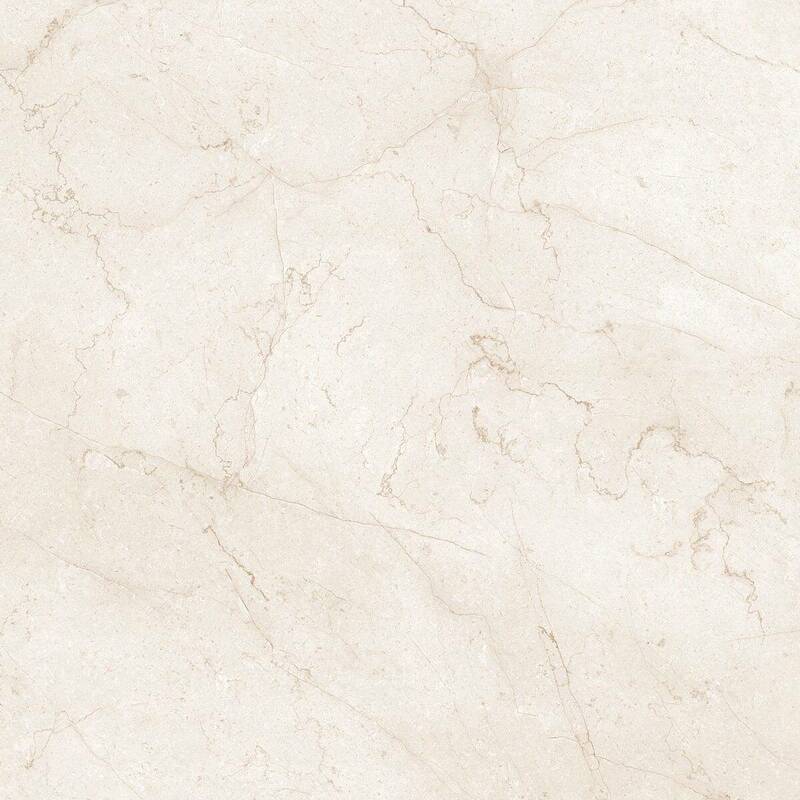 Sarca is a 750×750 gloss natural stone effect tile in the colour of hueso (marfil). 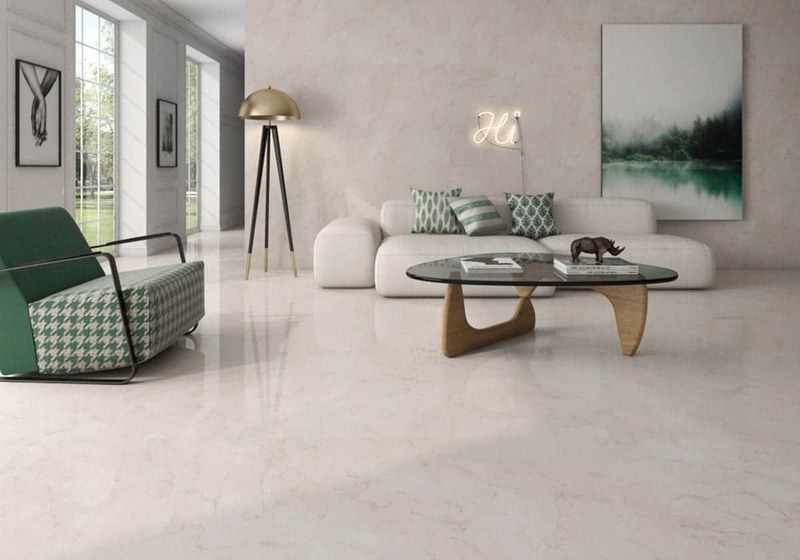 This fully rectified tile allows very accurate tiling as each tile is exactly the same size and allows for very thin grout lines to enhance the overall effect.